With an app out there for almost anything nowadays, it’s no surprise that the industry surrounding food delivery service is up there on the list of things making headlines this year. As for myself, I often opt for a delivery service for various occasions such as birthdays, family meals, corporate meetings – simply for convenience sake. 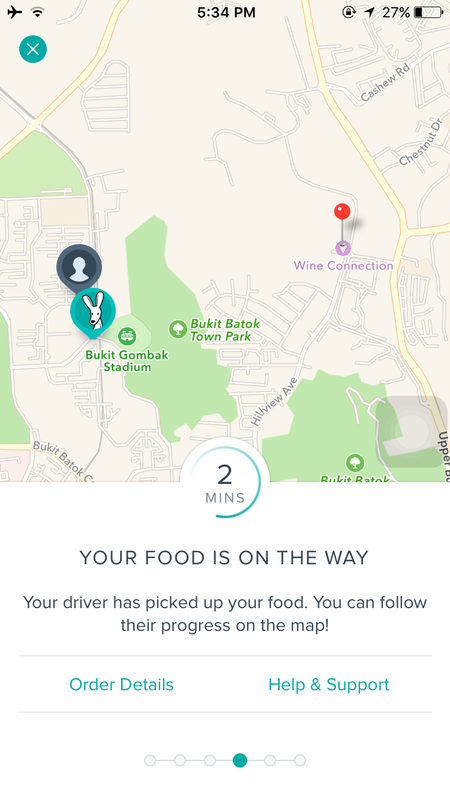 One such food delivery service which I had the opportunity to experience is with Deliveroo. With aims of bringing the world’s local restaurants into everyone’s home or office, Deliveroo is an on-demand premium food delivery service which lets you order meals from restaurants and cafes. It’s really quite straightforward to use Deliveroo via the web or the app – simply enter your postal code on the main homepage, and they’ll show you all the restaurants located within the vicinity that delivers to you. Then choose the restaurant of your choice, put your order in and proceed with the checkout process. Several months after its launch in Singapore late November last year, Deliveroo has amassed a significant amount of recognition and island wide coverage. Now everyone recognizes Deliveroo’s iconic kangaroo logo! Translating customer needs into the service aspect is definitely part of the value added initiative to determine my personal choice of a service. With an intangible element like a delivery service, customers make an impression through the efficiency and network capabilities of bringing the well-loved restaurants to us! Now Deliveroo delivers island wide to 26 zones across Singapore, stepping up their game since their launch. As part of this significant milestone, Deliveroo invites customers to be part of the celebration and join in to honour Singapore’s most loved restaurants that brings the best dining offers to their customers. I was given the opportunity to be part of their ‘Because You Deserve The Best, #BYDTB’ campaign – where each week a particular cuisine with attractive promotions will be highlighted for customers to enjoy! The theme for this week is the ‘Café Cuisine’, and is the final week of the #BYDTB campaign! Food is arriving, can’t wait! A very polite Rooman arrived with my food! I ordered the set meal promotion from Cedele, which is part of the #BYDTB campaign – ‘Café cuisine’ week. At only $45 for 4 people, we got to choose from a selection of burgers, pastas and salads. Bacon, mushrooms and pasta – a proven combination that can’t go wrong. Cedele offers several types of pasta choices including penne, linguine or whole meal – one of their valued initiatives when offering the very best of healthy food. Ingredients were substantial and the dish tasted good overall, but might be a little too rich for some. The Grilled Chicken Avocado is a simple yet substantial meal. Lightly glazed and a healthier option to choose from! Cedele is definitely an ideal place for a health-savvy range of menu items. With their stores located island wide, definitely take this opportunity to savour their food while enjoying this week’s exclusive ‘café cuisine’ promotions when you order through Deliveroo. * This was a media delivery and is written in collaboration with Deliveroo. Simply desire to say your article is as surprising.The clearness in your post is just excellent and i could assume you’re an expert on this subject.Fine with your permission let me to grab your RSS feed to keep up to date with forthcoming post.Thanks a million and please continue the rewarding work.